It is now December so I can officially say its Christmas Time. Of corse Christmas is a really special time of year itself, but I do find that it can be made even more special by doing extra things that children will love. Here are a few things you can do to give your children an extra special Christmas this year. Lily is loving waking up each day and getting to open one of her doors to her advent calendar. It really makes each day special for her and is also a great way for her to countdown the days until it is Christmas day. 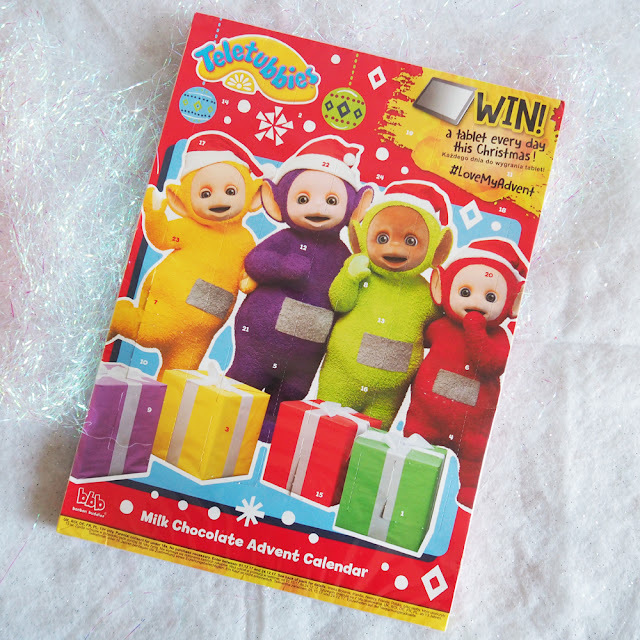 You can get all sorts of calendars from toys, colouring, pictures and Lily's favourite, chocolate. You can also buy ones that are themed to the child's favourite characters such as this Teletubbie one. Lily loves doing arts and crafts and so this year we shall be making our own Christmas cards. I think this is a lovely way to put a touch of personalisation to them and also a great way to get your child to get crafty. There are so many ways you can make the cards too. We have some special sequins and stickers ready for ours. I think no matter how young your child is, they can always help you decorate the tree. Or better yet, why not let them have their very own tree to decorate. Lily is going to be decorating her very own tree tonight and then she also has this mini advent tree where she adds a decoration a day. In each drawn there is a tiny little decoration ready to place on the tree. This is also another lovely way for her to count down the days to Christmas. Getting the children involved in the Christmas baking is such a lovely thing to do and will create such nice memories. They will love getting involved in doing the mixing and stirring and then also love getting to do some great decorations. Some great things you could bake for Christmas are Ginger Bread Men, Cookies, Shortbread Stars, or even Mini Christmas Cakes. There are so many ideas. Then comes the best bit! Getting to eat it all.. YUM! 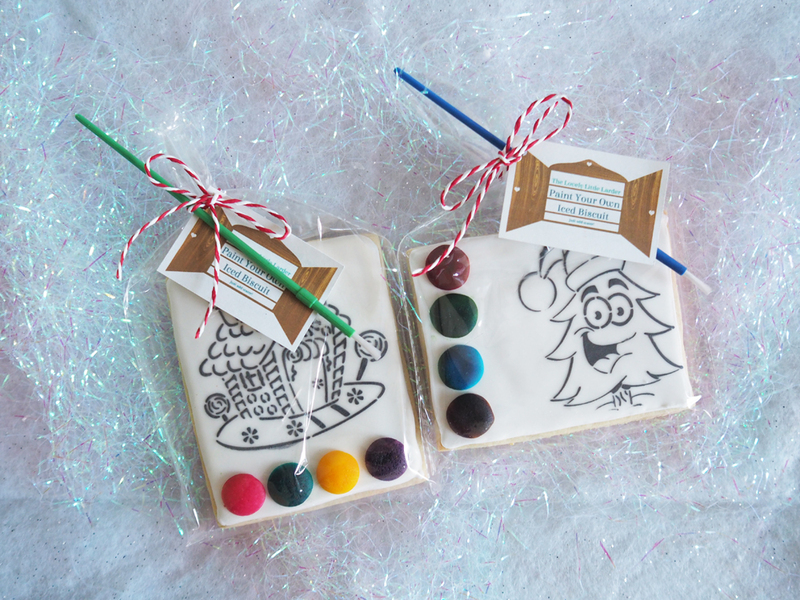 What better way to mix 3 great things, Christmas, Cookies and Crafts! These biscuits you can paint and then eat by just adding water to the colours and then painting the icing. It is all edible and Children will love that they have personalised there own cookies. They are also great for stocking fillers, Christmas party bags or Christmas Eve Boxes. You can buy these for your children here. I think this one is quite the obvious one, but a trip to see Father Christmas is always such a special thing to do. Lily isn't to keen on the big guy just yet, but I know one day she won't be able to wait to meet him and tell him all about what she would like for Christmas. If you search "visit santa" in your local area, it should tell you the best places you can visit him. I did this and found out that near me there is a steam train ride where he is onboard. So it is worth a look to see if there is something special happening near you. Now that Lily understands Father Christmas, she is really excited that he will bring her presents. I am now starting to teach her some of the traditions of Christmas, like when santa comes and what he does and so I have been telling her all about how we have to leave him some milk, a mince pie and a carrot for the reindeers. I spotted this tray while out shopping and just thought it was a lovely idea. Im really looking forward to using it to put out all our santa items on Christmas Eve. We are starting to get a nice little collection of Christmas stories now. It is a really nice way to help build the excitement of Christmas and also fill there dreams of nice christmassy thoughts. There are so many titles out there and we still need to find some more to read for this Christmas but you can go to my book section and read all about what we was reading last Christmas. This has started to be a little bit of a tradition for us. And each year I let Lily choose a new decoration for our main Christmas Tree. Her first year she was 5 weeks old, so she didn't that year, but at one year old she chose some owls, and 2 year old she chose a rocking horse, and this year she chose this little glass Christmas Tree. She loved her choice so much she wanted to hold it all day but of corse I couldn't let her as it would break. But it now sits nicely on our tree. 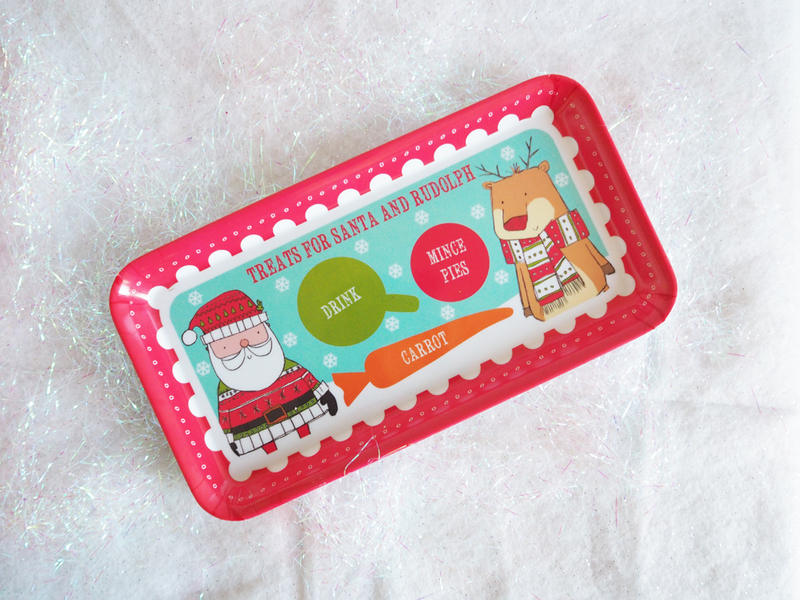 For the last 2 years Lily has had her very own special box that contains Christmas goodies. I usually put new Pjs in there and always some activities and a nice Christmas treat like biscuits and chocolate. My Christmas eve box also has a little key that she can leave out for Father Christmas, as we don't have a chimney. It also has a little letter from him telling her that she needs to go to bed and sleep tight so then he can come. 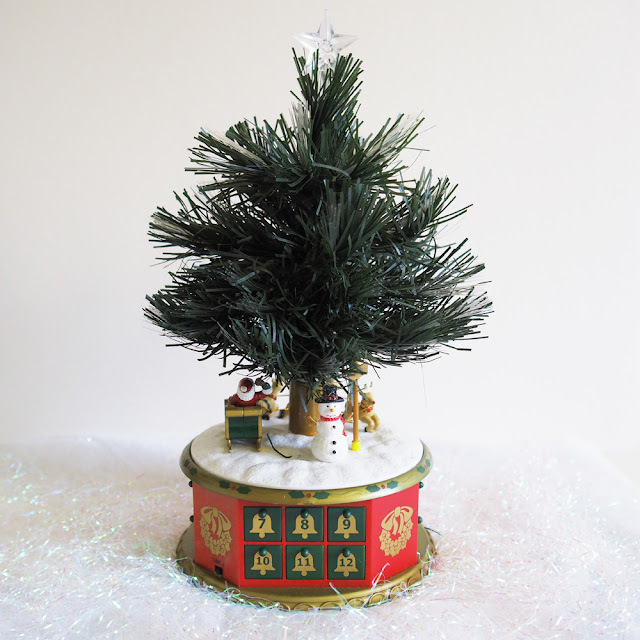 I shall be sharing the contents of this years Christmas Eve box on the blog soon. Which of these ideas do you already do with your children? Which do you think you may start doing? Advent Calendar, a usual for most families. 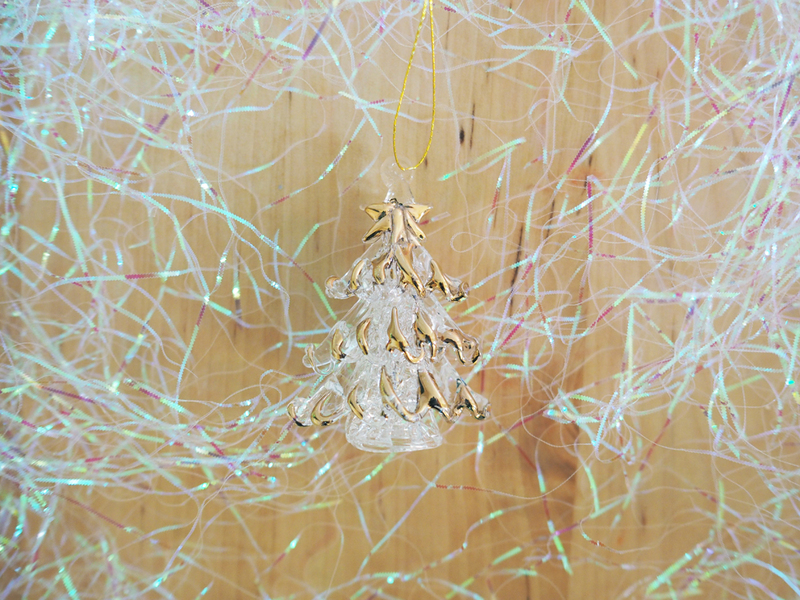 Decorating the Christmas Tree can be so sentimental. Decorations gathered over many years, bought when on holiday, bought to mark/ note baby's First Christmas, etc. Thank you for those great ideas. The advent calendar is already a big thing with us, but need to find some time to try some of your other suggestions. Am sure the kids will enjoy it. Make your own Christmas Cards, a great idea. One which young and / or older can do. Hand made cards are appreciated whether done by Children or Adults. As you mention they can be personalised. Have come across a few adults who do card making throughout the year as a hobby. So it can be beneficial from so many aspects. Enjoy your card making arts and crafts activity. For the first year my kids are doing the advent calender properly. Last year they ate all the chocolates in one go. I like the idea of a Christmas eve box but not sure yet whether to or not. You know when you wonder should you start another expense for Christmas? Nice to share in the preparations for Christmas. Nice to read about Christmas.